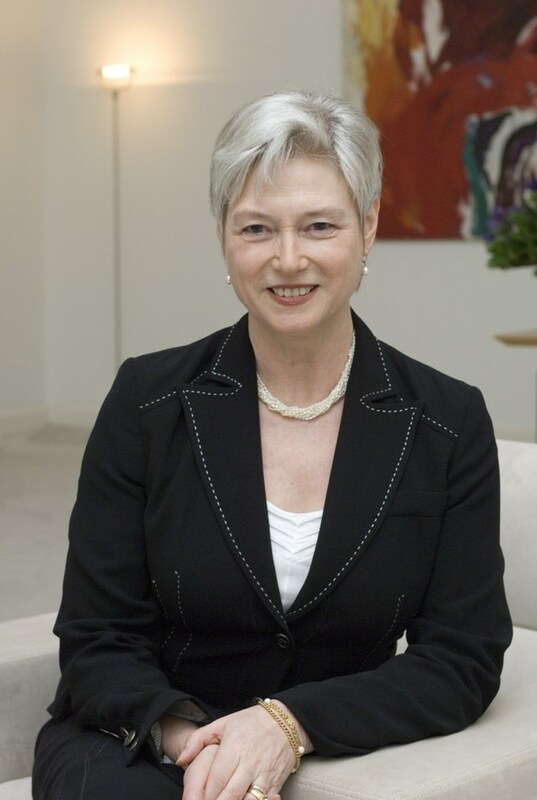 A prominent proponent of fusion: Maria van der Hoeven, Executive Director of the International Energy Agency. Maria van der Hoeven took over as Executive Director of the International Energy Agency (IEA) on 1 September 2011. Previously, Ms. Van der Hoeven served as Minister of Economic Affairs of the Netherlands from February 2007 to October 2010. To many people within the fusion community she is not an unknown name as she played an important role during the Dutch presidency of the Council of the European Union when the ITER site negotiations were at a critical stage. Now—as ITER is under construction—we asked the prominent proponent of fusion about her opinion of the ITER Project and its potential. Newsline: The 2011 World Energy Outlook was published by your agency last November. What does it tell us about the energy that the next generations will use to heat their homes and prepare their meals? Maria van der Hoeven: In the future, electricity will become an increasingly important fuel in the residential sector as developing countries switch away from less efficient sources of heating and cooking (such as traditional biomass) and as demand for electrical appliances continues to rise. Currently electricity accounts for about 20 percent of residential energy consumption, but we project that it will rise to 30 percent by 2035. The increasing electrification of our economies will raise new questions about introducing and deploying new technologies, the development and integration of power grids (and increasingly "smart" grids), efficient electricity storage, electricity security in general, and much more. However it will also create more flexibility in terms of energy input fuels and open more of the economy to power-generating technologies, including (potentially) fusion. What ties exist between IEA and ITER? To achieve energy security, economic growth and environmental protection, the IEA has encouraged and supported international collaborative research, development and deployment (RDD&D) across the mix of energy technologies since its founding. The IEA thus supports Member governments, non-Member participants and industrial partners to share resources and multiply results. The IEA Fusion Power Co-ordinating Committee (FPCC) provides a platform for stakeholders to share results of fusion activities worldwide. The ITER project, the International Atomic Energy Agency, the European Commission (EURATOM), the International Tokamaks Physics Activity (ITPA), and the Nuclear Energy Agency (experiments database) are among these participants. Our two organizations are also linked by individuals. Three participants from the IEA fusion community have been named to leadership positions for ITER. They include the ITER Director-General Osamu Motojima, the ITER Deputy Director-General Rich Hawryluk, and the Chair of the ITER Council Hideyuki Takatsu. I personally look forward to increasing the contacts between our organizations, and hope to make a working visit myself to Cadarache in the coming year. As Minister for Research in the Netherlands you played a vital role in the ITER site negotiations. Despite significant challenges since then, the ITER project is now under construction. I am pleased to see that the ITER Project has indeed advanced and that steps have been taken recently to address budgetary and management issues. Since taking up my role as Executive Director at the IEA, my priorities have been to establish a strategic vision and implementation plan for this energy agency. Working to leverage the IEA's assets to bolster its impact worldwide—while delivering high quality to Member governments within stringent resource constraints—has been at the heart of my task. I therefore understand the challenges that ITER faces, and I applaud its progress. "Fusion has the potential to be a game-changer"
During a visit to the German tokamak TEXTOR in 2003 you stated that politicians needed more information about fusion and that they are often not well briefed. From your perspective as Executive Director of the IEA, how can awareness of the potential of clean technologies such as fusion be raised? The IEA actively supports clean technology deployment through analysis and reporting such as our flagship Energy Technology Perspectives publications, our input to the Clean Energy Ministerial, and other work. We also support the spread of information via the Energy Technology Network and the International Low-Carbon Energy Technology Platform. These products and platforms can help to raise awareness among both policy makers and stakeholders. Based on IEA projections, our future energy needs will be substantial. Therefore we must continue to support research and development today in order to benefit from new technologies to meet those needs. While fusion technology is not at the deployment stage, the possible contributions of its successful development toward our policy goals are huge. Low-carbon, low risk generation technologies based on abundant resources would be major achievements for our societies. Fusion has the potential—but so far only the potential—to be a game-changer. Those messages should be clearly communicated to politicians and the public. In the 2011 World Energy Outlook fusion energy is not mentioned. Does that mean that the IEA doesn't count on the potential of fusion as a future energy source? Nuclear fusion holds the promise of virtually inexhaustible, safe and emission-free energy. However the successful deployment of this technology still remains a long-term objective which will require sustained research and development efforts. Although significant work is ongoing in this area, IEA projections do not count on fusion reactors becoming available on a commercial basis within the time horizon considered in our World Energy Outlook. Click here to order the 2011 World Energy Outlook.